Simple License Policy Suitable for multiple projects. 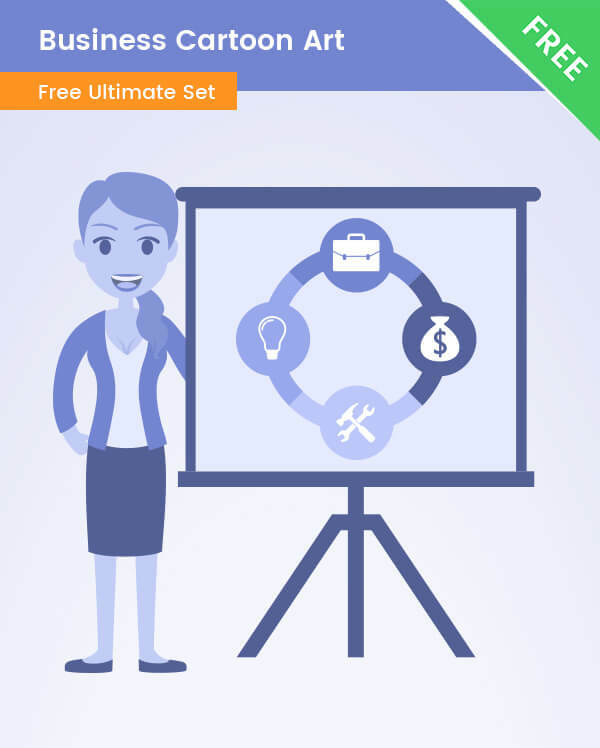 A great Business Cartoon Art made in a flat style with a business girl making a presentation. Available for free download. This illustration is made in a modern style with a bluish colors. There is also an amazing infographic shown on the whiteboard. This illustration is made of vector shapes, so you can easily modify the colors and shapes to fit your design.